Utilized by indigenous healers in Latin America, Achachairu has historically been used to improve skin care and improve the aging process. Healers use it to improve fine lines and wrinkles, lessen dark spots, and improve blemishes. It is additionally used for its moisturizing effect.Rich in antioxidants it helps protect the skin against damage caused by free radicals. The utmost care and attention have been given to the creation of 591. The active ingredients are sourced straight from the land where no pesticides or insecticides are used. Local people are hired, thus supporting and helping to sustain the culture,community and land. Following GMP procedures and ensuring safety and quality, the processing facility abides closely to all regulations including the exportation of the raw materials. Laboratories in the United States further test and ensure the ingredients’ safety and composition. 591 is manufactured in a United States Botanical Safety Lab . You will notice the lotion is a natural tan color . No coloring agents or dyes have been added in order to ensure the active ingredients maintain their natural organic properties and pH balance. 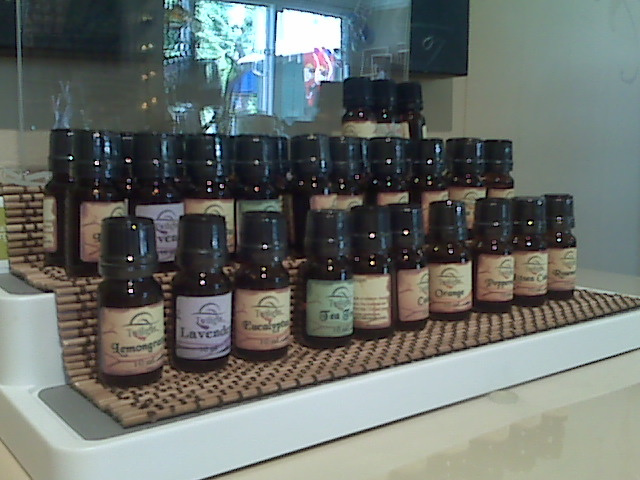 There are no fragrances added so upon application there will be a natural organic scent. This will dissipate quickly after application. Pump about a "pea sized" amount onto the back of your hand. Gently massage in upward strokes. Massage the remainder into your hands being sure to massage into your nail bed also. This also helps with dry , brittle , peeling nails. There seems to be a natural time release factor ...#591 continues to hydrate your skin long after it has been applies. It seems to have a cumulative effect... the more you use it the better you skin tone and complexion. THE PACKAGING is designed to dispense "small pea sized " amounts of product because of the strength and concentration of No.591. Just a Little goes a long way! The measured pump system is in the cap and there is no tube. ( I know because I looked for one, too. Hee hee). Due to the viscocity and concentration of the #591 Facial Treatment Cream I have found that it is best to add your essential oil of choice to Twilight Fragrance-Free Lotion and apply over the #591 Treatment Cream to enhance and customize your skin care regime. These products are a result of years of our explorations to some of Planet Earth's most remote areas. Seek Beauty's skin care line offers unique products derived from centuries old natural botanical extracts used by indigenous healers from around the world. Seek Beauty products embody the best and most pure elements that nature has to offer. If skin conditions such as rosacea or if using topical prescription products or if recent surgery, please consult health care professional before using. If irritation or sensitivity occurs, please discontinue use.